So many events in the city for TALK Boston students in March 2018! For starters, Spring is in the air come March, foliage is spectacular as crocus, daffodils, tulips, early blossoms on magnolias and other flowering trees begin to color the parks and spaces throughout the city. It’s a beautiful sight. TALK Boston has an exciting calendar for students this March, a month when events include many of the parades and festivals for which the city is famous. One of the biggest parades in the USA is the St. Patrick’s Day Parade in ‘Southie’ or South Boston. St Patrick’s Day is the Sunday closest to March 17th, so on March 18th, our TALK Boston students will join about one million spectators to enjoy the colorful floats, sample some traditional Irish food such as corned beef and cabbage, if you are feeling adventurous, and catch live Irish music. Calling all anime enthusiasts: @AnimeBoston. The 3-day Anime Boston event is the largest fan-run anime convention in the northeastern United States. 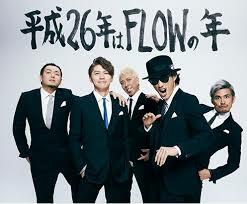 J-rock band FLOW will be performing at Anime Boston at the Hynes Convention Center, Boston, Mass, on March 30 through April 1, 2018. songs are featured in a number of Anime and games. Go to www.animeboston.com for more on the events and the featured guests. 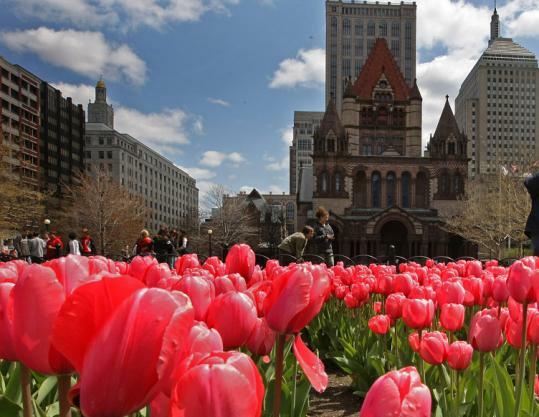 Don’t miss these and the many great festivals and events happening in Boston this month!